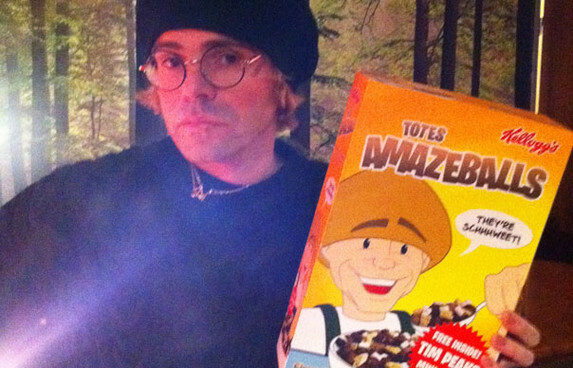 The NME is reporting that Charlatans’ front man Tim Burgess has teamed up with Kellogg’s to launch his own breakfast cereal. 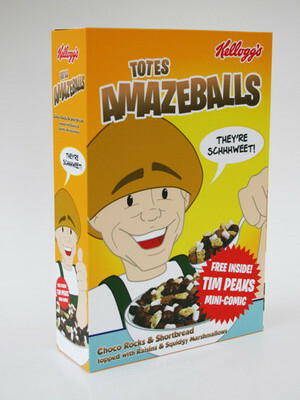 That’s not the only reason this article is in the “WTF” category, the cereal with be called TOTES AMAZEBALLS. It’s a cliche, but really, you can’t make this stuff up. Kellogg’s are producing the cereal, but it is unclear if it will end up on store shelves. Read on. Kellogg’s read Burgess’ idea on Twitter and contacted him to ask if he wanted to produce it for real. “People have started to use that expression and it kind of gets up people’s noses, but it sounded to me like something Willy Wonka would come up with.” The cereal apparently tastes like Rocky Road and is supposed to help hangovers. We’re hoping they have choco-marshmallows, kind of like the ones in LUCKY CHARMS that you have to rehydrate with milk. Tim is currently mastering his yet untitled solo record.